This is a love song, that is trending in 2013, love West African style. This is quite a special song, in many ways, but first you need to understand the word "Chop." This is slang in Anglophone Africa for a type of small cafeteria restaurant, and they will say, Chop, as if to say, I want to eat. OK, so this is song about how love really around in life..
"Every man wants you woman, I know that, and because I love you, I cannot stop allowing you to eat all my money. So go on chopping my money! This song is screaming and dancing it's way across West Africa in March of 2013. Thanks to the girl by the nameof Falcon at the Super Marche in the Centre Marche area of Kara, Togo West Africa for helping me find the artist I could not avoid listening to if I tried. 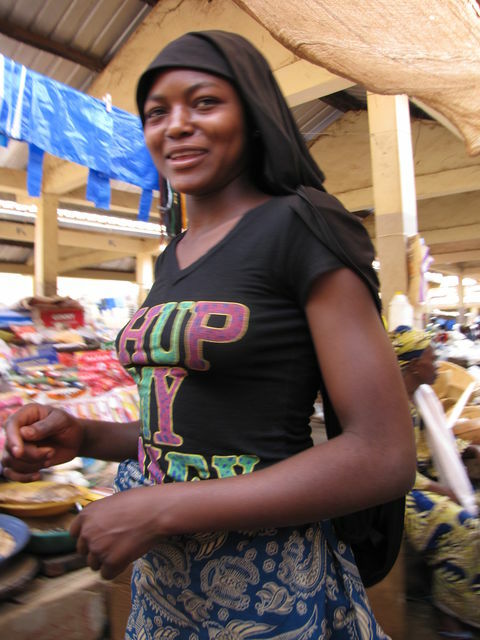 I am in Kara, Togo West Africa, March 2012 where the girls continually flirt, or flirt to try to chop my money. "Donne moi un Cadeau." It humorous, and taxing, when a beautiful woman looks me in the eyes, and wants something, it hard to say no. In a way, this is part of the West African culture to request I assist them, as a friend, and in sort of saying you are not my friend if you do not. But, nonetheless, this song is Hot.